The prickly evergreen vines behind the childhood home of Martin Luske-Sanders rise and fall in great dunes of black-tipped thorns. There are hidden things here, inexplicable and monstrous things, lost shards of time. And it stretches before him, a dismal reflection of his future, a haunting memory of his past. A lost brother, a final truth lurking amongst the bloodthirsty thorns of the briarwood. Published with bonus story "The Thorns of My Flesh." 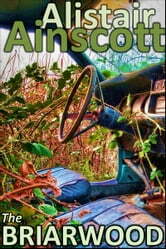 * A tale of contemporary dark fantasy by Alistair Ainscott. 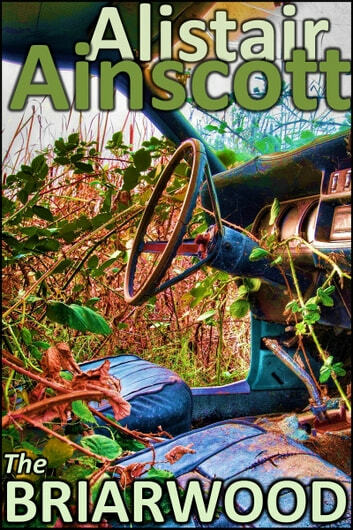 Professionally published writer Alistair Ainscott writes tales of science gone haywire, men gone mad, oddballs gone even odder, twin toddlers run amok, cats doing the things that cats are given to do, and other nefarious goings-on of the mysterious and the unknown. His fiction has appeared in the professional-paying Penumbra magazine of speculative fiction from Musa Publishing, and he has also studied short fiction with Kristine Kathryn Rusch and Dean Wesley Smith.